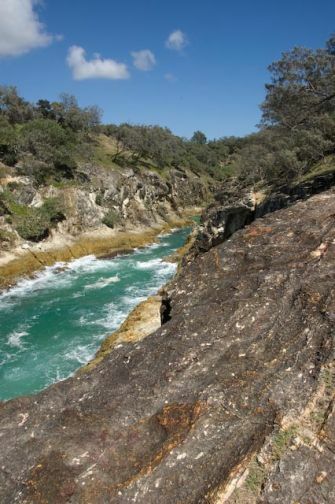 Believe it or not, North Stradbroke Island is not just for 4WDers and rich people renting houses. It is possible to do a day trip to the Island from Brisbane without a car or a house to stay in and on a pretty tight budget. Though it may take some time to get to and from the Island, the trip is well worth it. The first thing to do is find your way to the Water Taxi stop in Cleveland, buses that service the stop arrive and depart to meet the Water Taxis which depart approximately every hour. The ride to the island takes about 25 minutes and on a sunny day is absolutely glorious. At the ferry stop on North Stradbroke there is also a bus to meet you. The bus traverses the island to arrive at the main destination - Point Lookout. The first activity of the day could be a walk along the Point Lookout coast. One of the nicest and relatively easy walks is the North Gorge walk. It takes you along some spectacular coastline, and lucky strollers may even see dolphins, turtles or manta rays. 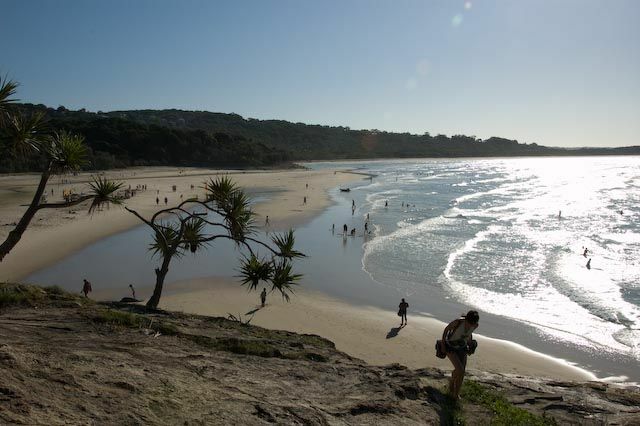 After the walk there are a few local beaches to choose from, two are patrolled - Main Beach and Cylinder Beach. For surfers, Main Beach is the way to go, those wanting a quieter experience should head to Cylinder Beach. The water on North Stradbroke Island is clear and blue - absolutely amazing! While swimming, schools of mullet or pilchards will often weave between your legs as they cruise the shallows. Once you've lapped up enough sand and sun you can head to the main drag for lunch. There are a few places with cheap and tasty eats. 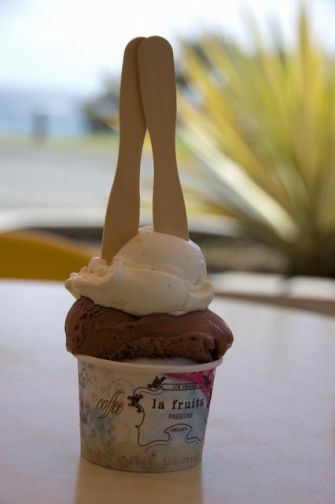 A must after lunch is gelati, which is made locally on the island. You can sit under an umbrella and watch the ocean as you savour the tropical flavours. The bus will take you back across the island to the Water Taxi. » Vancouver Homelessness: Is there a Solution?